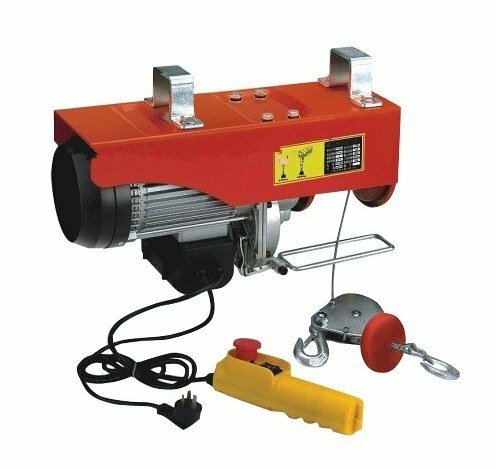 Product Description;220V, 50Hz,1-phase mini electric wire rope hoist, PA mini hoist, crane equipment, lifting tool; Model: 300/600KG, 12M; Power supply: 220V,50Hz, 1-PHASE.International standard is 6M (2 hooks, full of rated loading capacity) /12M (1 hook, half of rated loading capacity). Over 12M is lengthen. The higher of lifting height, the less of lifting capacity.